Disclaimer: This project is not for Commercial use. students who have registered for MySQL should come in another list. we are unable to add new semester,courses and we can’t register new student also. Database error is their.invalid default value for id. Respected sir, here(ONLINE COURSE REGD ) i want to add some extra features Like certificate , marks,ojee rank, parent, address etccan you help me to put it on the website. 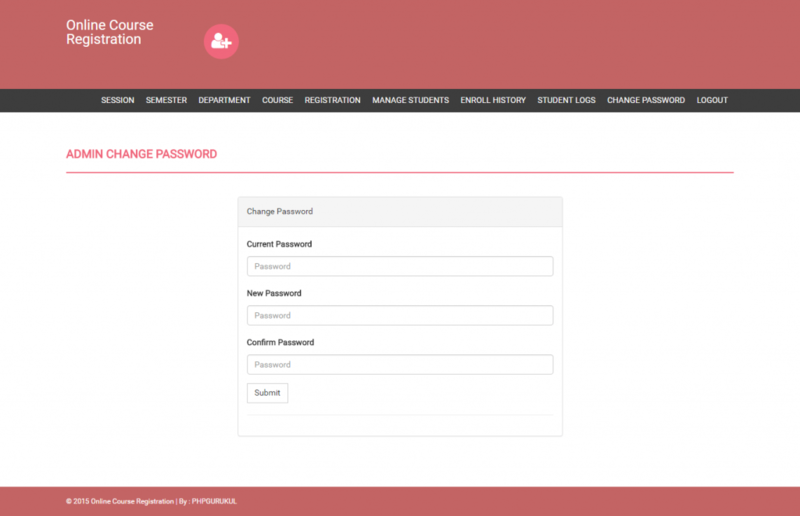 Sir, Can You Please Send Me Any Php Web Based Files Which I Can Make Use To Create Student Records System Website On My Email: raiyyans18@gmail.com . I’m Student Of 3rd Year Computer Diploma & I Am Struggling To Make My Course End Project. Your Help Is Really Required & Very Much Needed-Appreciated Sir, Thank You. Sorry. Documentation of this project not available. I will upload with in 2-3 days. Sir I tried to download online course registration the download link does not appear to work at a time so please kindly send me the zip folder to my e-mail amee.nestic@gmail.com. looking forward to hearing from you. Download link given above. You can download from there. Right now not available. Try to upload by Sunday. Sir can i get the report for this online course registration project. Can you please give me the er diagram and relational schema after normalization…it will be so helpful.Please send it asap. Sir, I cannot add semester through admin, nor i am able to create a corse and also i am not able to register a student. Can u please tell why it is happening like that. can you share error ? 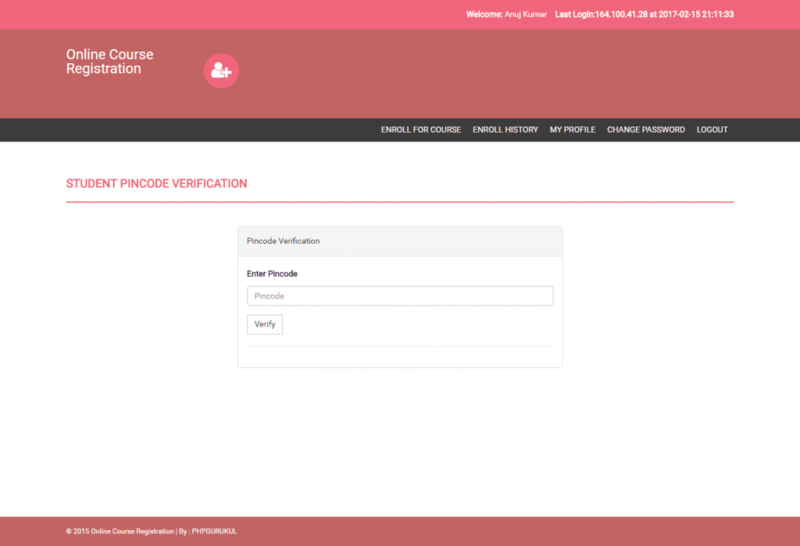 Its showing error semester not created, in course it is showing error course not created, and in student registration it is showing error student not registered.